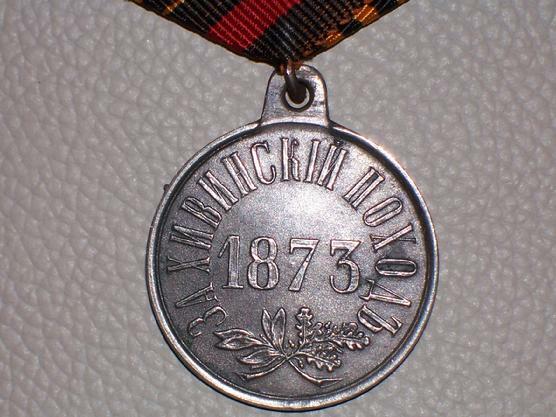 You are looking at a silver medal for the Khiva Campaign instituted on July 22, 1873. 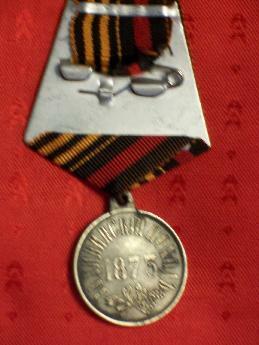 This silver medal was awarded to all generals, commissioned officers, non-commissioned officers and enlistede men, both combatant and non-combatant of the Armies of Turkestan, Orenbourg, Mangishlak and Krasnovodsk Divisions of the Oral Fleet who participated in the 1873 Khiva Campaign. 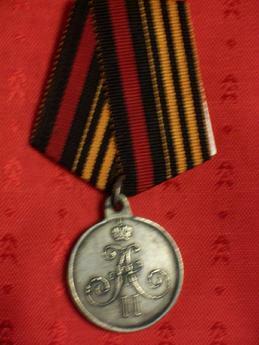 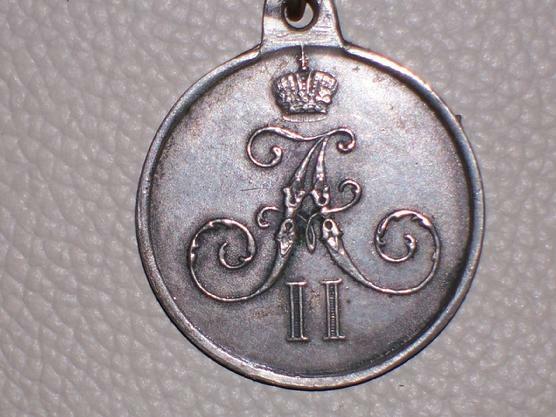 The obverse of the silver medal bears the cipher of Tsar Alexander II topped by the Imperial Crown. 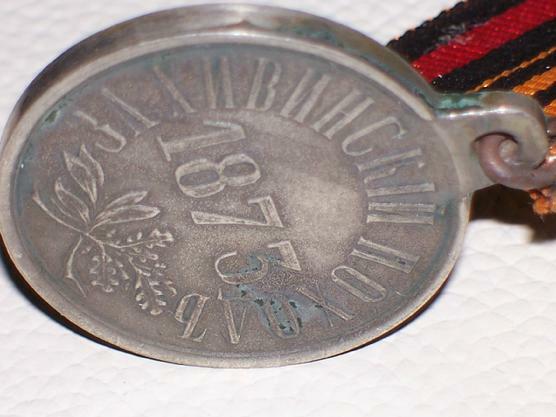 The reverse of the Medal has the date: "1873" and a circumscription signifying: "For the Khiva Campaign", with below an olive branch crossed by an oak branch.